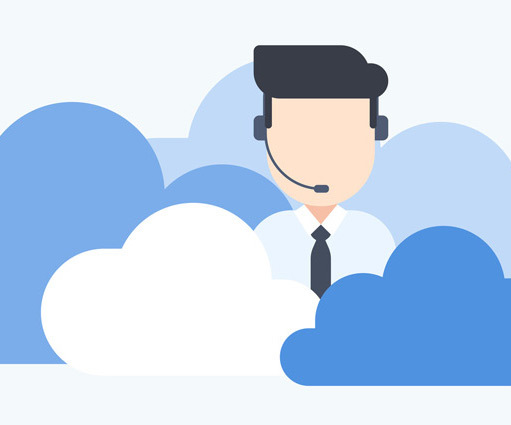 By 2030, a significant proportion of the service element of contact centre operations will be automated, rather than provided by the human agent.This will result from significant advances in artificial intelligence (AI), especially in intelligent queue management, robo-advisory virtual assistants, predictive analytics and cloud based platforms. These are some of the conclusions drawn following the Innovation Exchange Platform hosted in Cape Town by Frost & Sullivan and co-hosted with ZaiLab Software, CLEVVA and GENII analytics. “We launched this platform to bring together key participants along the entire value chain of the contact centre industry; to share technology innovation, provide the latest thinking on trends and to provide a neutral platform for the participants to network and collaborate,” explains Wayne Houghton, consulting director of Frost & Sullivan Africa. He explains that the introduction of automated and intelligent agents won’t necessarily mean there won’t be a place for humans in the contact centre. “There will still be certain service scenarios, and particularly more complex services, under more emotive conditions, where clients will still want to engage with another human being,” says Houghton. “However, it does mean that the role of human resources will shift towards those where human empathy and psychology will play a greater role. Time to competence – the amount of time it takes to train a complete novice, with no experience, to full competence with the ability to handle customer queries or sales campaigns without supervision. This time can be reduced by up to 40%. In some large contact centres – with high levels of attrition of up to 50% in some cases, this can mean significant savings with time to competence of around 12 to 15 weeks. A good example of a system that has delivered this type of performance is the CLEVVA Navigator, which was revealed at the event. It not only reduces training time, but also enables agent to perform at a much higher efficiency rate and to increase productivity, by increasing their ability to handling any inbound call without having to possess the product, policy or procedural knowledge normally required to ask the right questions, offer the right answers and perform the right actions. Creating a gateway to rewarding conversations and experiences. On average, one in every two calls results in an unresolved customer query. This means that 50% of the time the client has to call back, or is transferred between multiple departments. This can be very frustrating and unrewarding for the customer and agent. ZaiLab demonstrated how its software enables rewarding conversations through the upfront identification and prioritisation of customers. This ensures that the customer is connected to the agent most suited to their needs. Customer service and AI. AI and machine learning is nothing new, but applying AI to solve business challenges, with a clear ROI, is quite unique in the customer service arena. Genii AI focussed their discussion on running the audience through the reality of this technology that is ready to be deployed. They elaborated on how prediction modelling currently assists B2C companies to transform their approach to sales, customer service, retention and how these assets support robo-advisors. Their offering on this solution includes the design, build and deploying of AI assets to predict consumer service demand cycles, consumer churn and sales propensity. Genii further explained how they are already actively engaged in building AI assets for large brands in UK and South Africa.